Greetings from the council to you and your dear family members! My family and I take this opportunity to wish you all a Merry and a Blessed Christmas. We wish you a happy, healthy and a successful New Year. At this time of the year, let us pray for the brother knights and any of their family members who are unwell. Let us also all pray for world peace and for our Christians, who are being persecuted for their belief and are unable to practice their faith. Last but not least, thank you for your continuing support to the council in 2014, and I look forward to seeing you in the New Year. If you are travelling out of the province and country, we wish you a bon voyage. 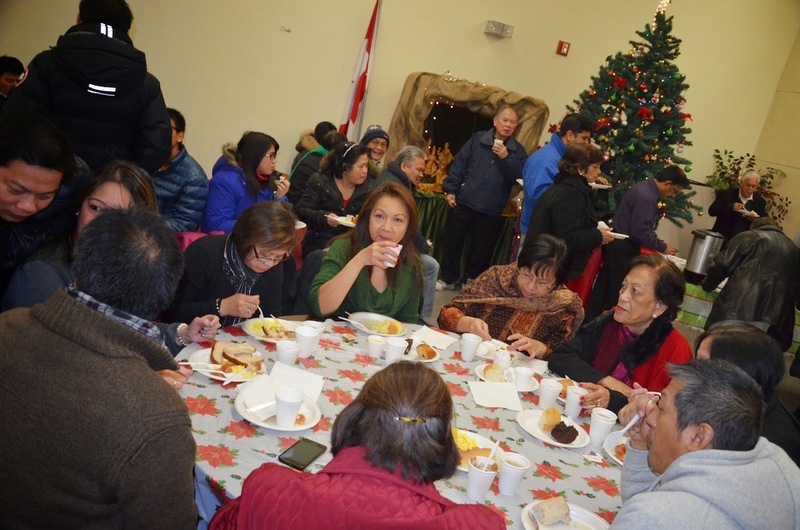 The breakfast for the Sunday Christmas Novena organized by the Pastor of our parish, was sponsored by the council. The team led by IPGK Joseph Remedios was supported by the youth of our parish, who are essentially children of our council’s knights and as well as brother knights who worked together to cook the breakfast and to serve it to the novena attendees. Our grateful thanks and appreciation to all of the volunteers who made an effort to support this event and arrived at 4 a.m to cook the breakfast and to make the arrangements. Council’s activities for the month of December. Please make every effort to attend and support the council’s events. Executive Meeting on Tuesday, 9 December @ 7.30 p.m. in the Upper Hall Coordinator-Edwin D’Cruz. 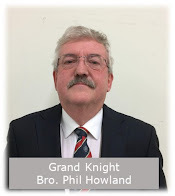 General Meeting on Monday, December 15 @ 7.30 p.m. in the Parish Hall-Coordinator-Edwin D’Cruz. 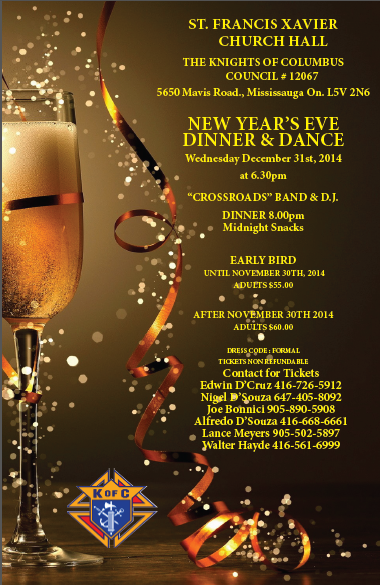 Christmas Party, Sunday, December 7 from 2.30 p.m. in the Parish Hall-Coordinator-Kelvin Netto @ elianetto@hotmail.com. This event is jointly organized and supported by the CWL and KOC. Parish Christmas Novena organized by Msgr. Edgardo Pan, Parish Pastor on Sunday, December 21. Our council will be hosting the breakfast for the novena participants.